Gösta Oswald was a prodigy of the Swedish modernist scene, publishing his first collection of poetry at the age of nineteen. His tragic death in a drowning accident in 1950, when he was just twenty-four years old, cut short a formidable literary career in the making. By that time the young man had published only one more text, the novel En privatmans vedermödor (A Private Man’s Hardships). The rest of his literary works came out posthumously, the most notable of those being his highly experimental novel Rondo that was still unfinished at the time of Oswald’s death. This relatively short poetic work primarily inspired by Hieronymus Bosch’s The Haywain Triptych and Dante’s The Divine Comedy is regarded as one of the most original and challenging texts in Swedish literature. In this intriguing piece, unfortunately available only in Swedish, writer and critic Carl Johan Malmberg mentions Rondo in the same breath as In Search of Lost Time, Finnegans Wake and Bottom’s Dream. This does not mean, of course, that the novel by the precocious Swedish talent is on a par with these heavy literary monuments, but rather that Oswald’s ambition of creating a work that would be marked by bold stylistic experiments with language as well as over-saturated with cultural and literary references placed him within the tradition of ground-breaking encyclopedic narratives represented by Proust, Joyce, and Arno Schmidt. Hieronymus Bosch. The Pedlar, closed state of The Hay Wain. Rondo lacks conventional plot. It is a poetic tapestry woven from a variety of motifs hearkening back both to the old masters such as Plutarch, Dante, Rabelais and the more recent ones: Dostoevsky, Hölderin, T. S. Eliot, Joyce. Structurally, Oswald’s text follows the arrangement of the scenes in The Hay Wain, as each part of the novel corresponds to a certain panel in the triptych. The most prominent theme of the novel is that of a metaphysical search. 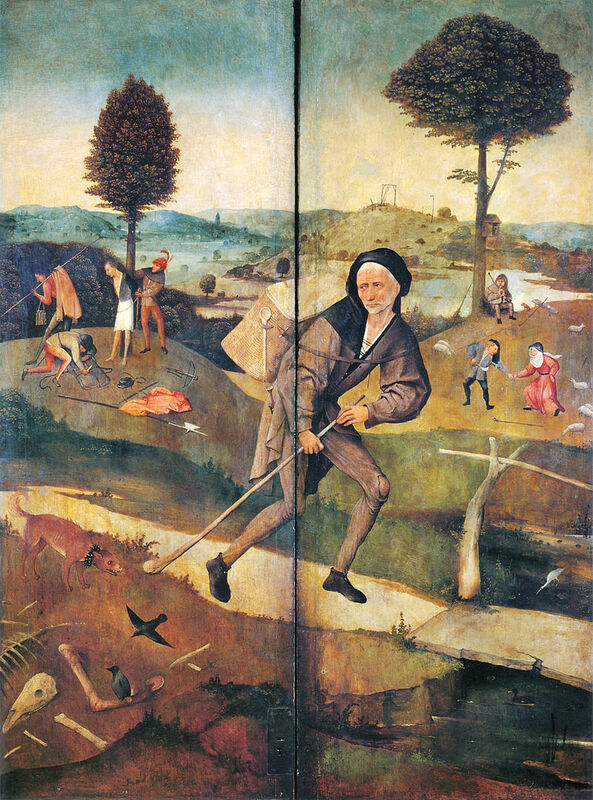 The main character Aran, named so after the group of Irish islands, is a wanderer just like the dog-deterring pedlar depicted on the closed shutters of Bosch’s triptych. The hostile environment in which the protagonist of Rondo wends his way, looking for a way out, is represented by the City, an allegorical dimension of suffering, sin, and death. The doomed City is counterpoised by Inis, a Beatrice-like character, who is the personification of love and beauty. The novel explores the beautiful and the grotesque in equal measure. It is written in gorgeous musical prose verging on baroque poetry and is replete with striking dream-like imagery. 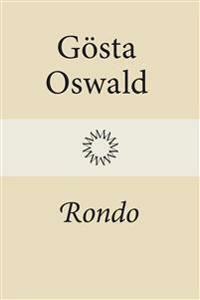 Itself a product of intense artistic inspiration, Rondo, in its turn, has inspired Swedish composer Bo Nilsson to compose an orchestral tetralogy called Brief an Gösta Oswald (Letter to Gösta Oswald). The tetralogy consists of an overture and three cantatas based on the text of the novel. If you would like to learn more about this creative synthesis, there is an illuminating article by Anders Nilsson available online.